This was a romantic photo shoot which followed a surprise engagement proposal. Earlier, Julia said yes to Ruben by the lake near Interlaken. Afterwards we jumped in my car and drove up the mountain. 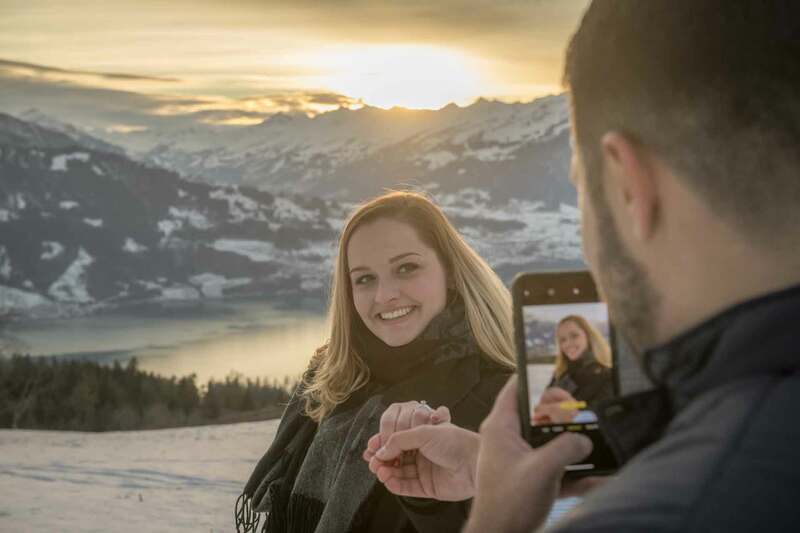 This newly engaged couple from Florida fooled around in the snow and enjoyed the sunset over the Bernese Alps. An awesome couple! We had a great time together. Afterwards I drove them back to their hotel in Interlaken where we took a few more photos. They were staying at the Victoria Jungfrau Grand Hotel which is one of the best hotels in the world. It would have been criminal not to take a few pictures here. We had to be discreet and not disturb the other guests. 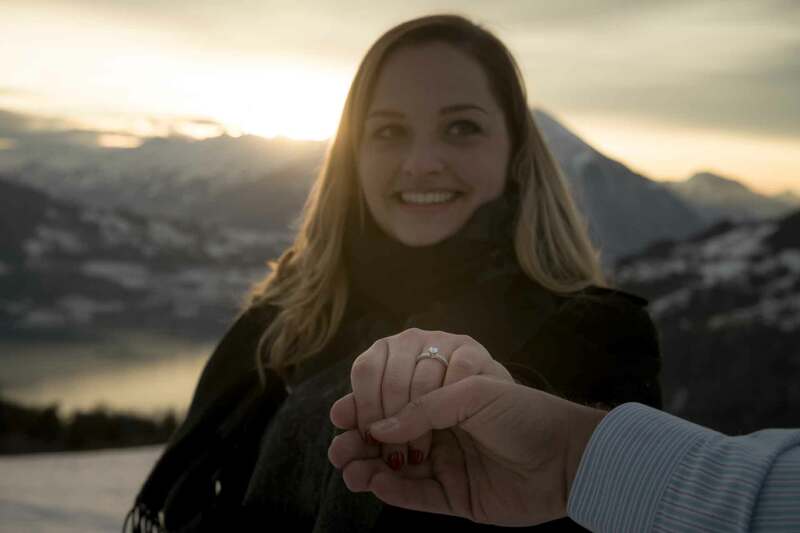 As I mentioned earlier, the couple were engaged by the lake near Interlaken. I might post a couple of pictures later. We met at their hotel and I drove them around on a photo shoot. Julia was not aware of the engagement proposal. Her fiancee Ruben hadn’t decided upon a location. I had to be prepared. Fortunately, he proposed at our first location and we able to relax for the rest of the afternoon. We visited a castle, lake and ended up on a mountain. We also added an extra photo shoot at their hotel in Interlaken.